We were invited on A WORLD IN LONDON this week, the show presented by DJ Ritu on SOAS Radio, the online radio station based at the School of Oriental and African Studies. Part of the University of London, the station produces a variety of programmes all with a focus on Africa, Asia and the Middle East. Here’s the interview below, about 30 minutes into the show, Mark unfortunately couldn’t make this one! Broadcast date was 25/10/17. 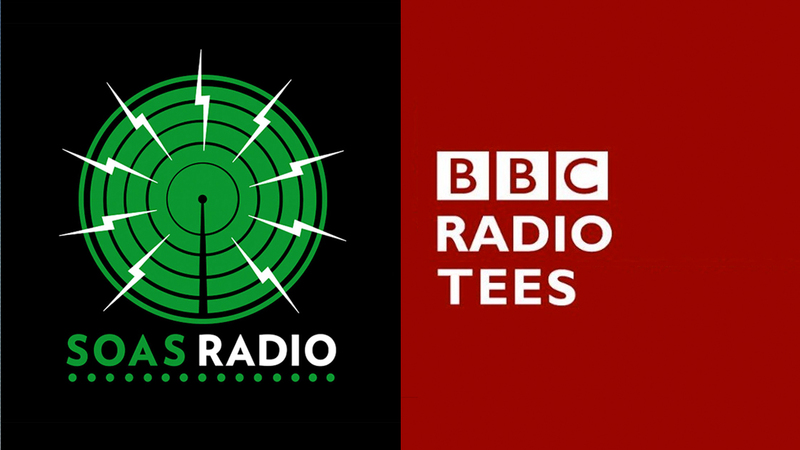 And last week, just before our final tour date at Musicport Festival in Whitby, Graham also did a phone in interview with BBC Radio Tees on the Bob Fischer show. Broadcast date was 20/10/17.